Not many straight lines to be seen in this building! 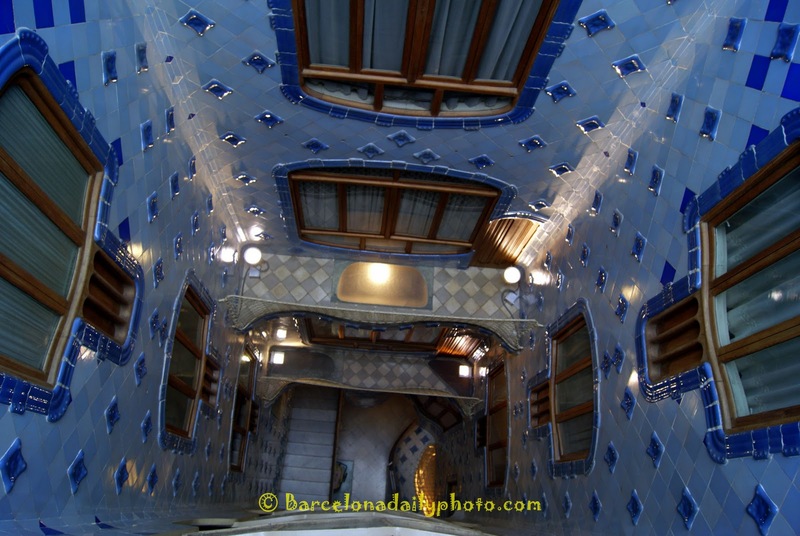 It is the Casa Batllo, on Passeig de Gracia, a house renovated by Antonio Gaudi. We will bring you more of this unique place in the next few days. This is, by the way, post 500. We’ve come a long way. This entry was posted on October 2, 2010 by robthefrog. 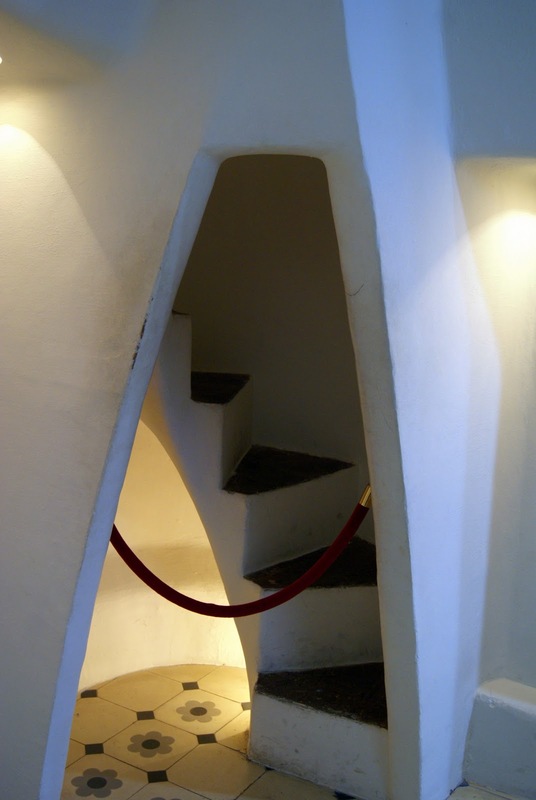 It was filed under architecture, art, art nouveau, Gaudi, modernism, Passeig de Gracia . Very pretty Rob! 500 posts truly wonderful Congratulations! First of all congratulations for your first 500 posts. Amazing building like the whole architecture of Gaudi. A very cool, blue building! Apartments? Congratulations on your 500th posting! Omedito gozaimashita! Felicitations! Alles Gute! Grattis! And bravo on reaching number 500! CONGRATS on your posting milestone! I think I might get ill looking at those walls. ha! The whole architecture in Barcelona is so unique! Thanks for showing the inner part of the house, it's just as interesting! And thanks for 500 posts that keep us readers coming back for more. And CONGRATULATIONS to both of you for 500 days for informations with daily photos from your city!! Well done!- Have a nice weekend and don`t forget to celebrate! !